It's been an interesting week for the Purdue Boilermakers after firing head coach Darrell Hazell last Sunday. It has been made even more interesting as preparation to face Nebraska marched on under the direction of interim head coach Gerad Parker. Through it all, Husker fans have been left to wonder what exactly to expect from the Boilermakers. To help better understand Purdue, we reached out to Kyle Holderfield of Hammer & Rails. A graduate of Purdue, Holderfield shared his insight on Parker, Purdue's chances of winning and plenty more. Q: How can Nebraska defeat Purdue? KH: Nebraska can beat Purdue by doing one simple thing: show up and play its game. In my mind, Purdue has no real shot of winning this game. If Nebraska is smart, it will ground and pound the ball as Purdue hasn't contained a running back since beating Nevada. Nebraska should limit its opportunities to turn the ball over. That starts with not passing the ball. The Cornhuskers can easily have over 300 yards rushing against Purdue's Swiss cheese-like defense. Q: How can Purdue defeat Nebraska? KH: Purdue can't beat Nebraska. Unless Nebraska is down to its fifth string walk on quarterback like last season (or whatever string he was). The only way Purdue beats Nebraska this weekend is if it can have a balanced attack on offense. Markell Jones is one of the best backs in the Big Ten but has been banged up. 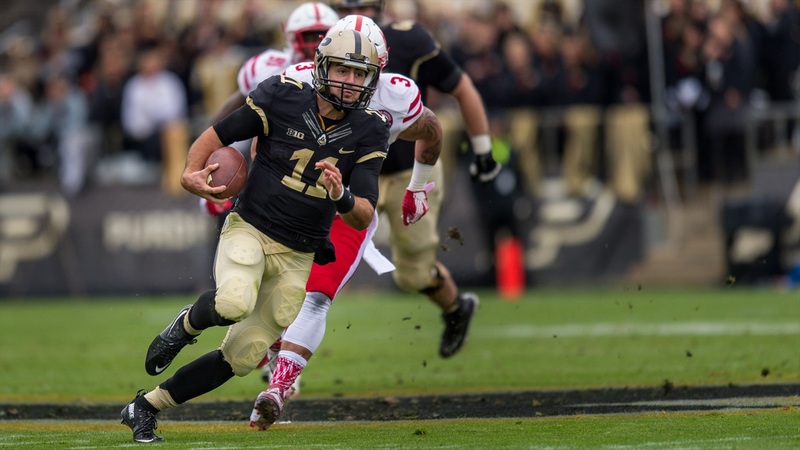 David Blough has played well, but it will take a complete effort with minimal turnovers for Purdue to have a real shot. I don't see it, but they could be motivated. Q: Surprised that Gerad Parker got the interim gig? KH: I am a little surprised that Parker got the job over Marcus Freeman. Freeman is a young coach like Parker, but is the linebackers coach/co-defensive coordinator and has been poached by other schools to be their defensive coordinator. It could be that no one wanted the position so it fell to Parker. Either way, he brings some excitement and a small breath of fresh air to West Lafayette, as he is a players' coach first. Q: Will Parker throw any curve balls at Nebraska that the Huskers may not be expecting? KH: I don't think you will see any curve balls on the field. He seems a little overwhelmed as he said earlier in the week that he didn't realize how many little things Darrell Hazell did as head coach. As for other small things, he has made changes—they practice to music now which is how it should have always been—and the players do not have to wear suits when they travel. They get to be athletes on the trip rather than businessmen, which is how Hazell treated it. Q: Purdue is a team that seems to like passing the ball. Is that worrisome going up against Nebraska's secondary, who is performing pretty well right now? KH: The only reason Purdue passes the ball so much is because the Boilermakers are ALWAYS trailing. If they weren't so bad defensively, I think you would see more of Markell, as we did early in the year during our non-conference schedule. But, if Nebraska gets up early and Purdue has to pass, expect the Huskers' secondary to force some turnovers. Q: Nebraska opened as a 24-point favorite over Purdue. Too high, too low? What are your thoughts? KH: Only 24 points? Purdue got beat at Maryland 50-7. I would run to Vegas and say that Nebraska will cover. New coach, bad team. It is all in your favor. In my opinion, it will look something like 41-10 Nebraska, and I am being nice. Best of luck Saturday!